for $850,000 with 4 bedrooms and 3 full baths. This 2,509 square foot home was built in 1998. FRIO CANYON VISTA RETREAT is one of the most beautiful properties in the Frio Canyon of the Texas Hill Country.This custom home of 4 bedrooms and 3 baths built by Hill Country Classic Homes on 30 unrestricted half wooded and half cleared acres overlooks a beautiful catfish and bass stocked pond and the Frio Canyon Valley. 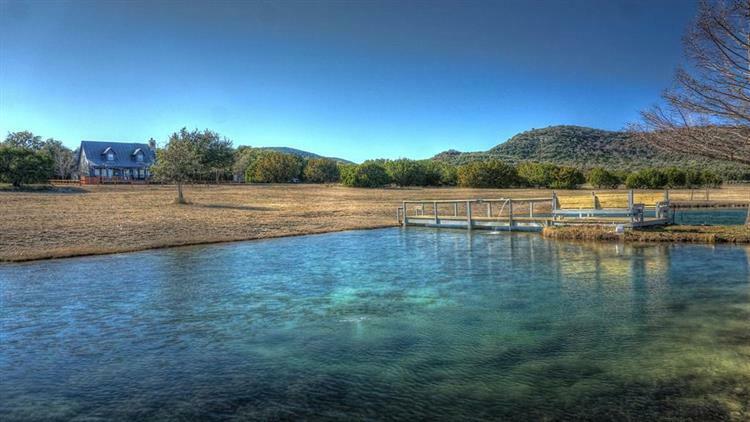 This estate is only one mile from access to the Frio River and 2 miles from Leakey TX and 90 minutes from San Antonio. Other amenities are: the home comes fully furnished, a 1000 sq ft double door barn, city water and 2 private wells, a large covered front porch and a larger front deck with a Jacuzzi. This recreational property has many possibilities. 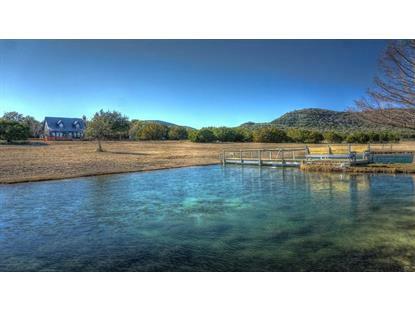 It would be great for entertaining friends and family, as a summer rental, hunting ( deer, axis, hogs) or horse farm.